My last blog post was How to Recognize Figure Skating Jumps. Here are some more interesting articles and videos about skating jumps. 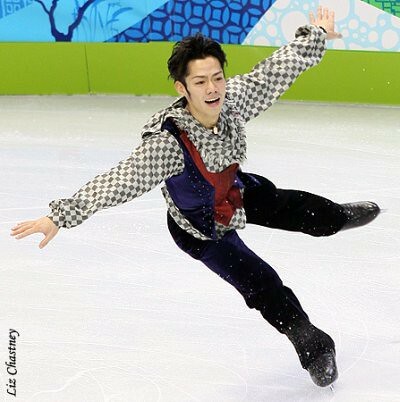 The articles and videos cover the main technical jumps in skating. There are also other jumps that are used in choreography such as split, stag, and ballet jumps for presentation. Here’s an article from XanBoni on Jumps. Jo Ann Schneider Farris at About.com: Figure Skating has an article on the Top 7 Basic Figure Skating Jumps Every Ice Skater Must Know. Here’s another article on Figure Skating Jumps from Skating Fitness. It also has information on the origins of the jumps. If you have a question about jump terminology, check out the Jumps Glossary from Figure Skating Journal. Here’s a great video with Michael Weiss on How to Perform the Six Basic Jumps. This page has more detailed videos with Michael Weiss on each of the six basic jumps. If you enjoy watching figure skating on television, you’ll enjoy it even more if you learn to identify the different jumps. Remember, a single jump is 1 rotation in the air, a double 2 rotations, a triple 3 rotations, and a quad 4 rotations. An axel is 1½ rotations in the air, a double axel is 2½ rotations, and a triple axel is 3½ rotations. Uploaded by oxygala. – Check out more sports and extreme sports videos.